With over 6 million patient success stories around the world, Invisalign braces are one of the most popular teeth straightening solutions on the market. Offering patients a quick, safe and virtually undetectable journey to perfectly straight teeth, Invisalign completely transforms your smile without anyone even being able to tell you’re having treatment. Here at CrownWood Dental in Bracknell, Berkshire, we are certified partners of Invisalign braces - providing our patients with the most effective and cutting-edge Invisalign orthodontic treatments. 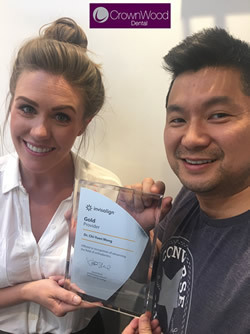 Our Principal dentist, Dr Chi-Yuen Wong was recently awarded with a Gold Invisalign provider status as well. How much does Invisalign cost in Berkshire? Invisalign braces straighten teeth by using a series of almost completely invisible removable aligners, custom made to fit perfectly around your teeth at each stage of your treatment. 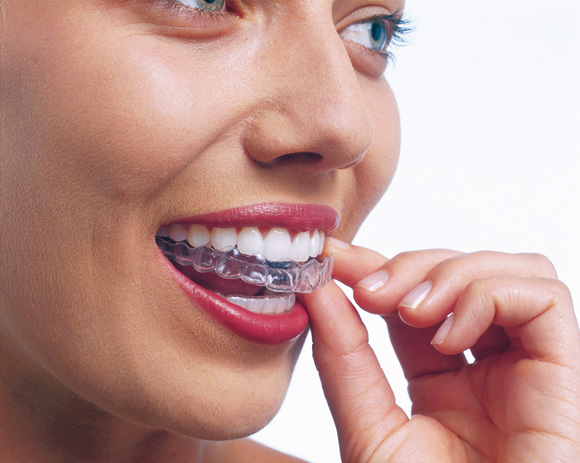 Sitting comfortably over your teeth, your aligners can be easily taken out whenever you like. You’ll be able to brush, floss and eat as you normally would, and you can even conveniently remove them for photographs or events unlike a traditional brace. The bespoke Invisalign trays are made from a clear medical grade plastic that moves teeth quickly but safely; gently guiding teeth to their optimum position whilst remaining kind to teeth and gums. If you are interested in straightening your teeth the modern way, book your Invisalign invisible braces consultation at our Berkshire practice today in Bracknell. 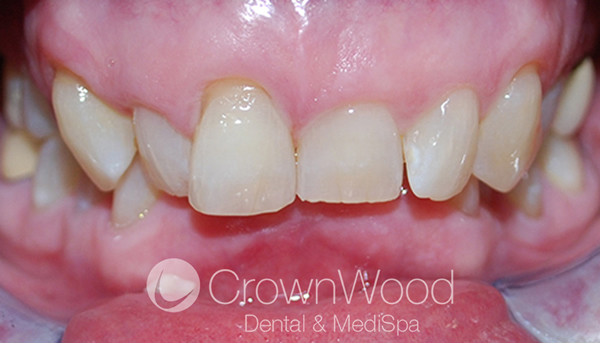 At CrownWood Dental in Bracknell, we have been helping patients with a wide range of straightening issues using Invisalign technology for years. From minor tooth movements to complex smile transformations, whatever your problem, Invisalign braces can provide you with the perfect smile that you’ll want everyone to see. Overly crowded teeth - Overcrowding can occur when there is not enough room in the jaw for all of your teeth to fit normally. When this happens, teeth get pushed out of their natural alignment; resulting in a severely crooked and an uneven smile. Gapped teeth - When you have extra space in your jaw, you may find that your teeth are widely spaced apart, with large gaps in between some or all teeth. Deep bites - Also known as an overbite, a deep bite is where the top teeth significantly overlap the lower teeth. Underbites - This is when lower teeth protrude or overlap past your front teeth. Open bites - An open bite is when the upper and lower front teeth do not come together when the mouth is closed, resulting in a gap in the middle. Cross bites - This is when the both the upper and lower jaws are misaligned, causing one or more top teeth to bite on the inside of the lower row. These are all serious issues which can put an undue strain on your teeth; causing uneven wear, difficulty eating or speaking, and they can even increase your risk of developing conditions such as bone loss which can be localised or generalised, gum disease, and jaw and joint problems like temporomandibular joint dysfunction (TMJD), which is pain and dysfunction of the muscles that move the jaw, in the future. 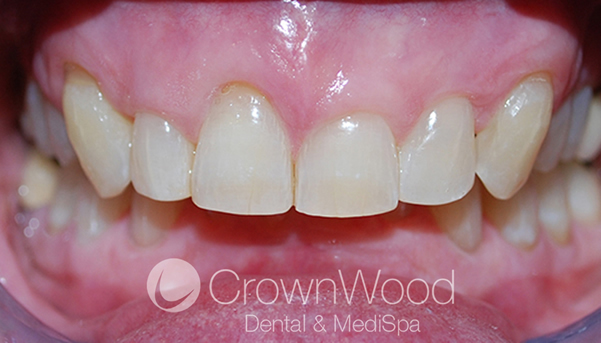 Invisalign invisible braces are a fast and effective teeth straightening solution to issues like these and you can see one example of a patient we have treate below. There are more examples on our before and after Invisalign page. At your Invisalign braces consultation at our Berkshire practice, our expert dental team will be able to tell you whether Invisalign braces are suitable for you. Before creating your treatment plan, we first take a digital scan or impressions of your teeth as they are. If your dentist is happy that Invisalign is the suitable solution for you, they’ll draw up a detailed plan of your teeth straightening treatment using ClinCheck®, our virtual 3D treatment plan. See your new smile now! This incredible technology allows us to see the series of movements your teeth will go through over the course of your Invisalign treatment; so you can see how your teeth will look at the end of the procedure before it has even begun. Once your bespoke aligners arrive back at the practice, you’ll be able to start wearing your first set of invisible braces for around 22 hours a day (easily removing them for eating and brushing). After two weeks, you will switch to the next Invisalign aligners in the series for another two weeks until the end of your treatment; with your teeth gradually moving closer to their final position with each set. The time it takes to complete your Invisalign treatment will all depend on the complexity of your case and the condition of your teeth. Typically, you can expect to wear your invisible braces for around 12 to 18 months. During this time, you’ll also have occasional review and adjustment appointments at our practice in Bracknell, Berkshire, to monitor your progress and check you’re happy with your treatment. Are easily removable – You can put in and take out your Invisalign braces yourself whenever you want or need to. Make oral hygiene easy – Since they’re removable, you can brush and floss as normal. Your invisible braces are also replaced by the next in the series every 2 weeks, and can be cleaned at home in the meantime. Fit around your life – You won’t need to make any changes to your diet, as you can simply pop your Invisalign braces out to eat. Are extremely comfortable – No brackets or archwires in sight; your smooth invisible braces sit perfectly over your teeth and curve below gums to stop any irritation. Look incredible – These virtually invisible braces’ highly aesthetic appliance design means no one will even be able to tell you’re having treatment until your perfectly straight smile is complete. 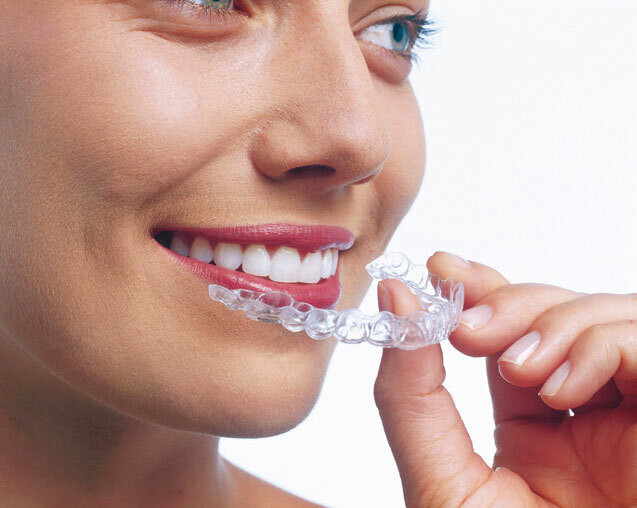 You can read more about Invisalign vs. Braces on our webpage. The cost of your Invisalign treatment at our Bracknell practice will all depend on the type of invisible braces you choose. However, we have ensured our prices are extremely competitive when compared to other dentists in Berkshire. Invisalign braces cost from as little as £31.49 per month using our unique payment plan. View our Invisalign cost page for more information and details about our flexible payment options. Please take a look at our video reviews from patients about the Invisalign treatment they have received with us. You can view more videos and read written patient testimonials on our Invisalign reviews page. To book your Invisalign invisible braces consultation with our Orthodontics Team at CrownWood Dental in Bracknell, Berkshire, please call us today on 01344 482882. For a limited time only, save over £600 on Invisalign Full Treatment. *Offer does not include your £300 ClinCheck® assessment which is compulsory for Invisalign treatment. An initial consultation is required at £35.